In this tutorial, I will tell you how to implement multiple input tags with dynamic data from MySQL database table using jquery plugin "tagmanager" and "typeahead" JS. This is required in the application in which you need to show user selected options in a text area in tags with remove option. This functionality can be done very easily by using jQuery "tagmanager" plugin for multiple input tags based on user selection from dynamic list of data. 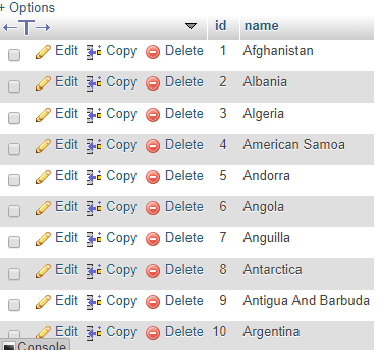 Using Tag Manager plugin you can manage input tags separately from each input with better layout. There are so many plugin available for multiple input tags but Tag Manager plugin can be easily implemented into application with different tag styles. You can trigger the events to get notification when things happen. For example, when you are going to push the new tags or you have pushed a new tag and also when you remove any tag then you can hook on these events.